With Valentine’s Day quickly approaching, I thought I would share for #3ThingsThursday, three last-minute Valentine’s gift ideas for anyone in your life. I truly enjoying giving gifts more than receiving. There’s just something about giving that feels so good, all year round. If you want to make someone feel good on the inside this Valentine’s Day, here’s three gifts that will make someone smile. I am swoon, swoon, swooning over the beautiful Landeau flowers. I had the pleasure of meeting Trevor Patterson-founder of Landeau at the Vitruvi launch party event last week at Holt Renfrew. We chatted for a bit and shared a few laughs. Putting a face and personality behind the concept of this fresh, modern, design was lovely! Trevor is genuine and funny, and one talented young man. He graduated from the prestigious London College of fashion, where he completed post-graduate studies in entrepreneurship. The brand is inspired by his international travels and interprets classic, European Archetypes in a modern light. Ordering Landeau is a simple online process. You simply select your bouquet, input your information, along with a greeting for the recipient, add date of delivery and voilà! Landeau does the rest! And that special someone receives an elegant, modern bouquet. 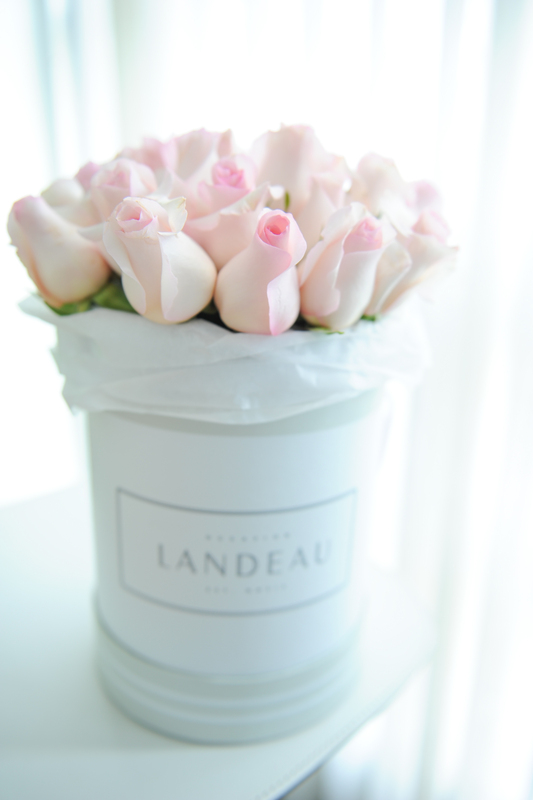 Whether it’s valentines day or another special occasion, giving or receiving Landeau roses will make someones day. Landeau now has a pop up shop on the main floor at Holt Renfrew. Pop by for a visit today, tomorrow or Saturday. You can pre-order online, for free pick up at Holt Renfrew or you can visit them in store to buy your bouquet. Ladies, tell your men! The second Valentine last -minute gift you can give is the gift of Vitruvi. Founded by social entrepreneurs and siblings Sara and Sean Panton, Vitruvi is a luxury line of aromatherapy products designed for everyday use. They have blended science with scent making the fragrances functional and beautiful. The products are influenced by Saras background in global health. Each product is custom blended with high-grade essential oils sourced from over 17 countries worldwide. I am loving my Vitruvi GO roll on fragrance oil. I also had the pleasure of using their detox salts in my bath after a long run, with very sore muscles. It felt like a spa at home, and my muscles felt less tight afterwards. If a spa package isn’t in your price range this Valentines, then pick up some Vitruvi aromatherapy products. Your recipient will simply breathe in the fragrance, think better, relax and stay calm. Now, that’s a quality gift, that will make anyone feel good on the inside. You can purchase your products online or you can visit Vitruvi at Holt Renfrew in the H project department. The third gift you can give this valentines, that is a bit more cost-effective, with proceeds going towards a good cause are Pink Shirt Day T-shirts! Proceeds from these shirts fund anti-bullying and positive self-esteem programs. They come in sizes for the entire family. So, if you want to say I love you this valentines to your family members, buy them a pink shirt! They can sport these t-shirts on February 25th to support Pink shirt Day. Shirts can be purchased online at PinkShirtDay.ca or at your local London Drugs. We’ll be wearing ours, and I hope you do too! Valentines day isn’t just for that special someone in your life. It’s love day! So spread love this Valentine’s, by supporting this extremely important cause. I hope you enjoyed my three last-minute Valentine gift ideas. 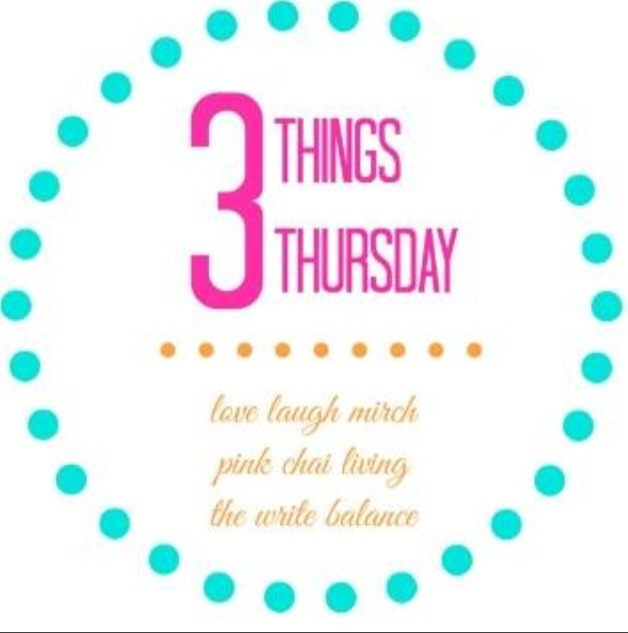 If you would like to share any three things on Thursdays you can write your post and link it up with one of these fabulous bloggers: The Write Balance, Laugh, Love, Mirch or Pink Chai Living. I hope everyone has a wonderful Valentine’s Day. Keep spreading love, everyday of the year! 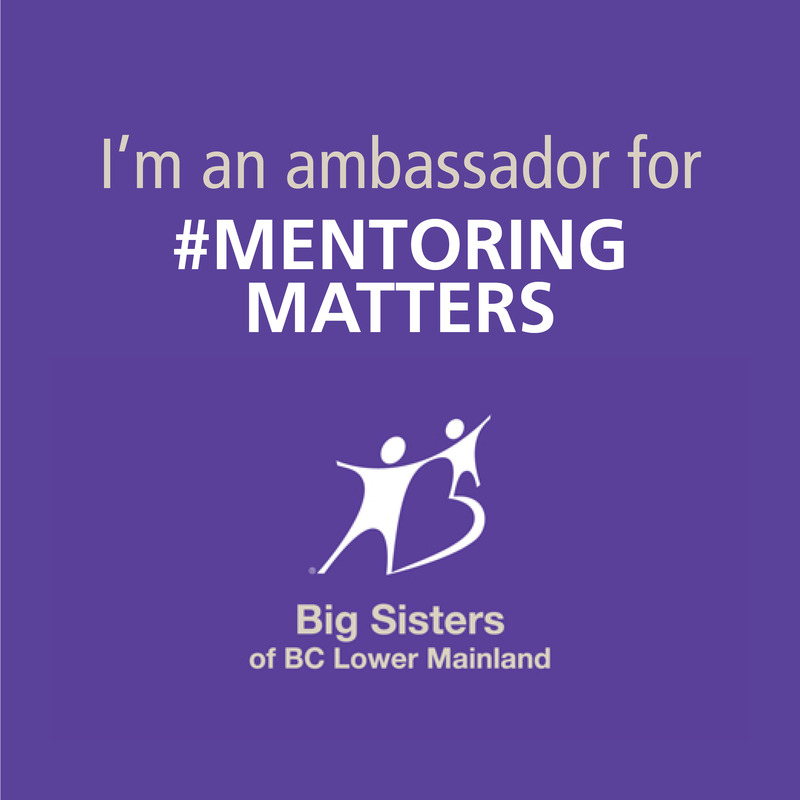 My #PinkShirtDay story- having compassion for all, even the bullies. I love the Pink Shirt Day idea! You can grab one for every member of your family – our fave Valentines 🙂 And everything about those flowers are so clean and pure. Great finds, Jamie! Yes, the flowers do look so clean and pure. What a great description! 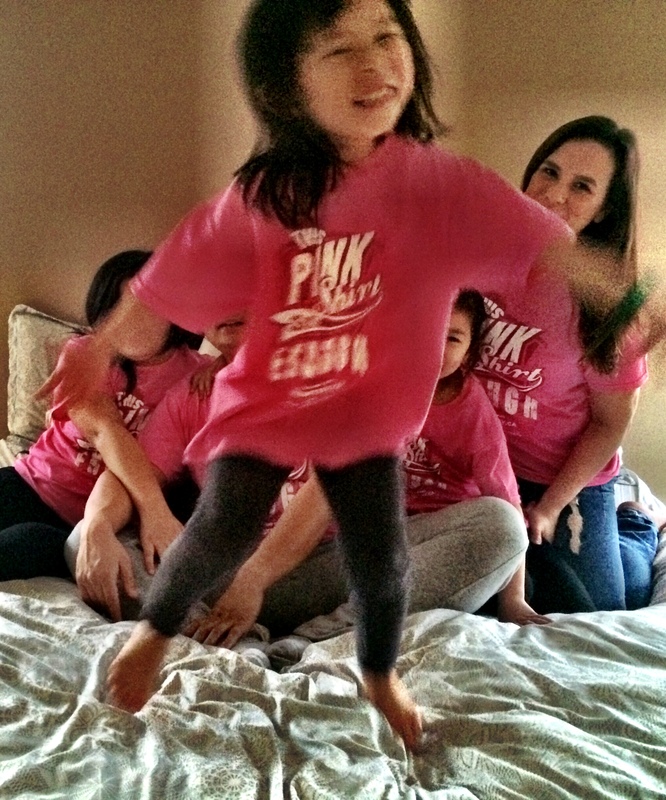 I’m also loving our Pink Shirts and I love that the whole fam can enjoy them! I hope you and your family have a very happy Valentine’s Day. Love all three of your gift ideas! The flowers are gorgeous, the aromatherapy products sound wonderful and LOVE the pink shirt idea! Happy Valentine’s Day and happy to have you linking up to #3ThingsThursday. I absolutely love roll on fragrances so I’m going to check out this brand! Oh and flowers & pink tee shirts – Valentine’s Day perfection.